I've been a bit busy these last few days launching a new newsletter and index blog for the Barnsley War Memorials Project. Myself and a few other people were concerned that research of memorials in Barnsley might be getting duplicated, whilst research done by individuals on their own special or local memorial isn't being recognised or isn't available to other researchers. We had our first meeting last week and there was support for the idea of providing a centralised index of all the Fallen of Barnsley in one place, in paper based folders in Barnsley Archives and Online. This wiil cover the whole of Barnsley linking to information already available and indicating areas still to be studied. I have been researching War Memorials for the last couple of months for my own pleasure, it's an excuse to get the OH to drive me around to various churches while he takes pictures of pubs for Barnsley CAMRA's magazine. Plus, whenever the weather is nice I take a wander up the road to Cudworth cemetery and photograph a few more gravestones up there, many of which are turning out to be technically war memorials, by the Imperial War Museum's definition, which is an inscription remembering someone who isn't actually buried on that site. I wrote a post explaining the different sorts of War Memorials here. We are hoping to have another meeting in January and anyone who is interested in contributing is welcome. 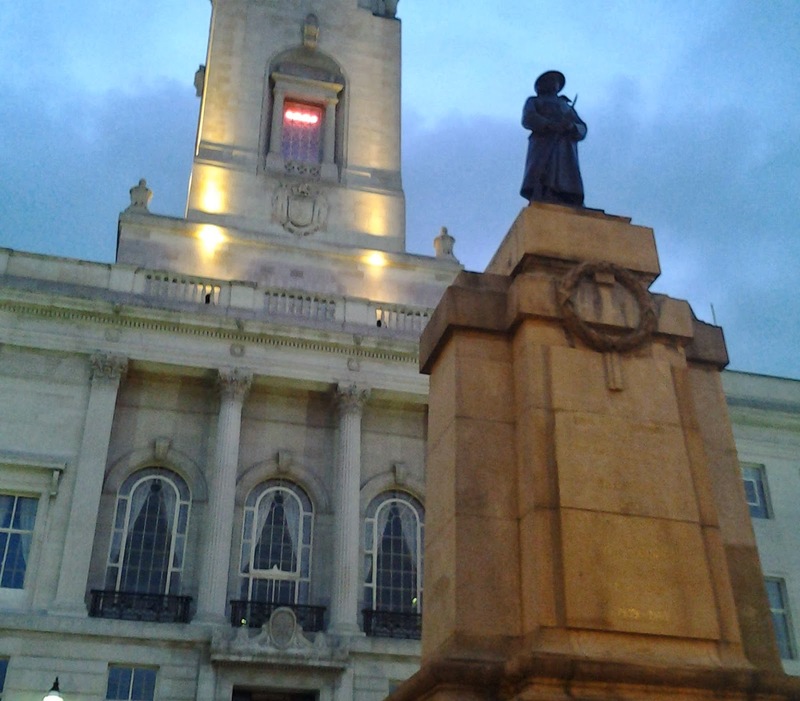 Please check the Barnsley War Memorials Project news page nearer the time for details.